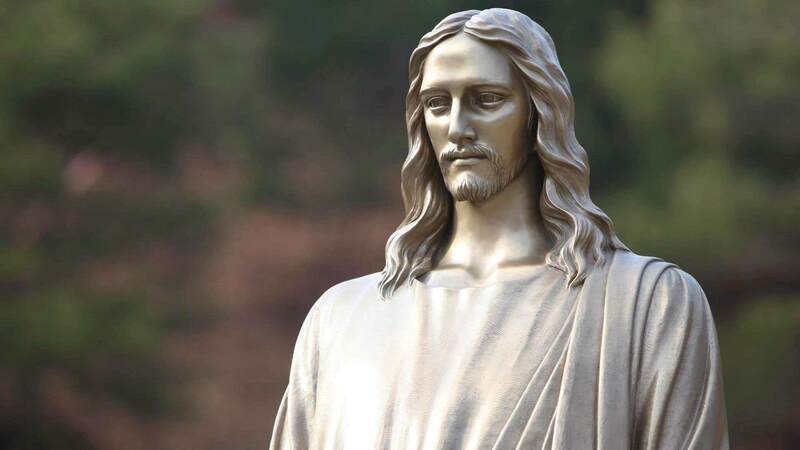 This is a bronze statue of the Holy Son that was erected for the Day of Life on March 17, 2011. Unlike the sculpture of the Holy Son in front of the Natural Temple, which is also a bronze statue, this statue was not painted white. Instead, it was left to show its glossy and unique texture. It gleams with a nice, bronze color.